If you’re a follower of Jesus’ teachings, or if you’re one of the literally billions of people who doesn’t so much follow as much as admire from a distance while still sinning all the time, you probably have a clear idea of who we’re talking about. Mellow hippie. Long, forgiving beard. Dreamy (blue) eyes. Swimmer’s build. 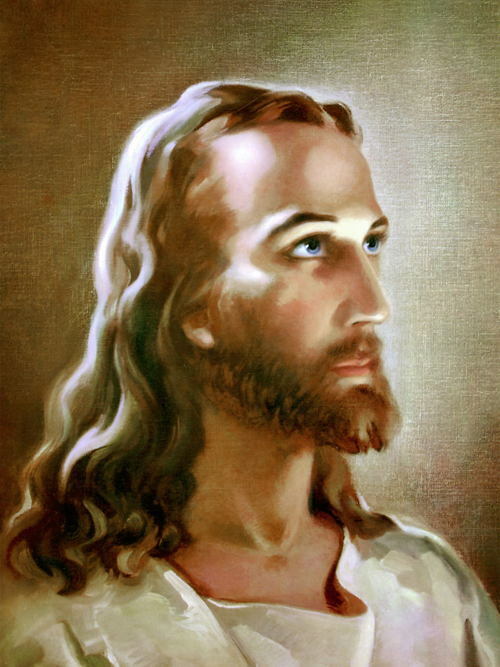 People who have grown up in the (equally weird when you think about it) tradition that Jesus was basically a WASPy lifeguard you might have met on your last trip to the Hamptons usually don’t think too much about all of the different possible Jesii* out there. He’s out there, though, and even people from cultures that don’t have a problem with diabetes venerate—and even worship—Jesus in their own way. At the very least, people from all over the world seem to think that Jesus was a nice man, and have rendered him—with sublime irony, if you’ve read Genesis—in their own images. *Seriously, this is the plural of “Jesus.” Look it up. In Hinduism, where you go to church, and what you officially call yourself when you get there, are not nearly as important as your sadhana, or spiritual practice. 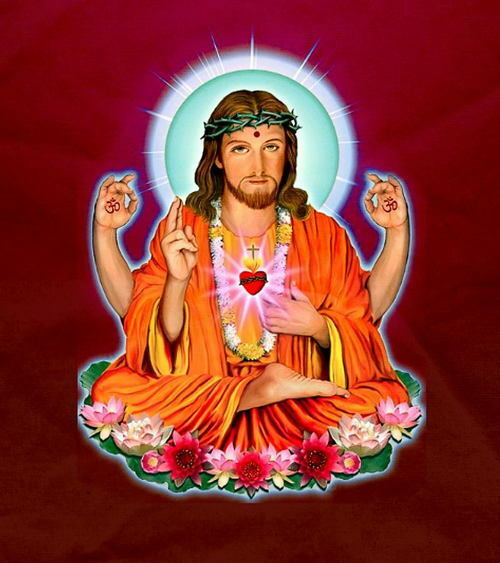 This is why many Hindus, especially children and people who haven’t traveled much outside of India, can be taken by surprise at the way Christians claim Jesus as their own. In India, Jesus is Ishu, and he walked on water, healed the sick, gave a sermon from a mountainside—the whole package. Interestingly, the Hindu legends of Ishu comport reasonably well with the Gospel. 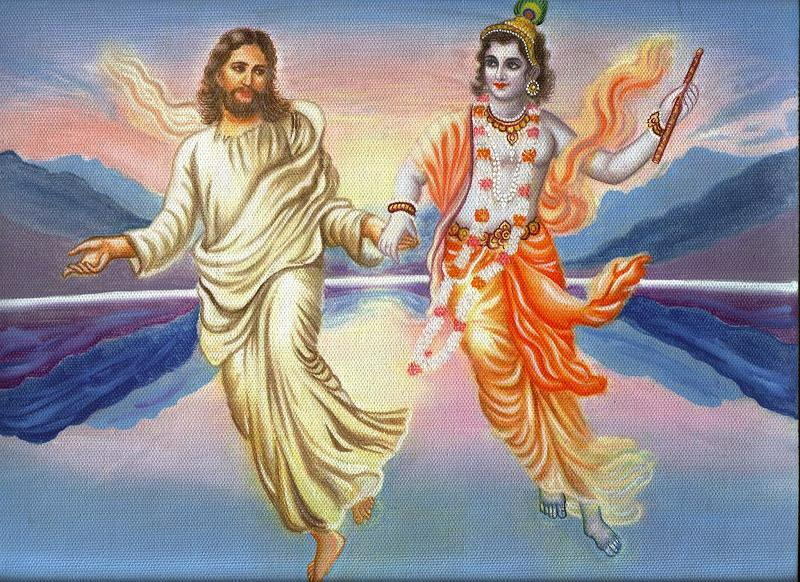 After all, the Bible says next to nothing about Jesus’ formative years and Hindu admirers of Ishu have filled that gap with a trip to India, where Jesus learned yogic thought and returned to Israel as a Sadhu, or itinerant holy man.